A lot of people don’t believe in coincidences. But 74-year-old Graeme Jamieson from New Zealand truly believes. Graeme Jamieson is in Samoa taking a trip down memory lane and revisiting all the places he visited with his wife when they were in Samoa. And the coincidence? 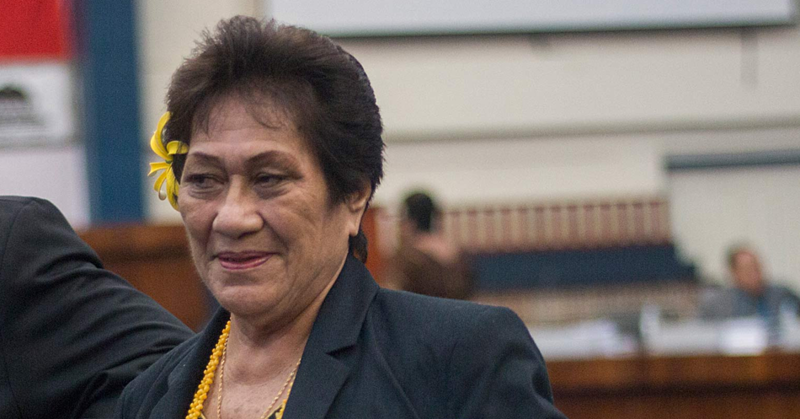 The two weeks he will spend in Samoa coincides with the 7th anniversary of the death of a student with whom he had a close connection with in the 1960s. Graeme was a school teacher at Avele College in the years 1967-68. And he has been back to Samoa a number of times since then. However, this is his time in Samoa alone because his wife passed away 18 months ago. “For me, it’s a trip down memory lane,” he said. Graeme recalled the first time they came to Samoa in 1967-68. He said he remembered it like it was yesterday. 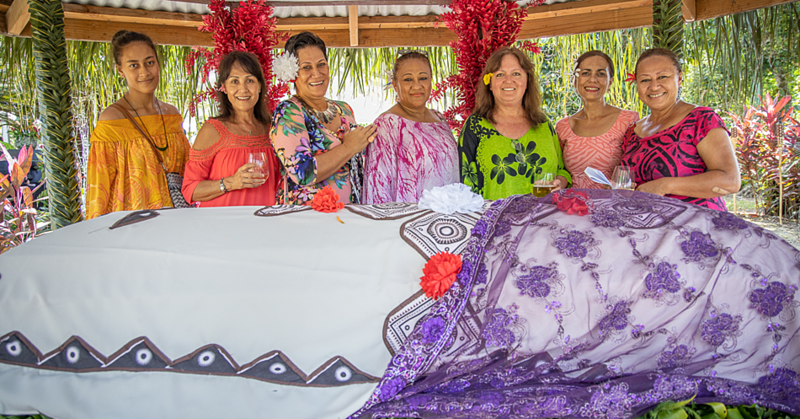 “When I came to Samoa, everything was different compared to where I came from. But I know that everything you do, depends on how you were brought up. There isn’t a right way. And that was how I learnt." “The people here lived so differently to the way I had lived. It wasn’t wrong, it wasn’t better, it was just different." “The people were very nice and tolerant. They knew I wasn’t a Samoan when I first came to Samoa and they did not expect me to understand everything and do things their way." “They didn’t mind that. They accepted a palagi (foreigner) and I didn’t understand most things about Samoa but that was okay with them. And that was a very good thing. They didn’t tell me that I was stupid when I couldn’t sit crossed legged and behave like a real Samoan." “I stayed at Avele College’s compound in one of the teachers’ houses next to the principal’s house back then in 1967." Avele College was a different place then, he added. While teaching at Avele College, Graeme said he saw a lot of potential in some of the boys of Avele at that time. He was very impressed with their willingness to learn new things and how fast they learned. “My wife and I decided that one of the things that we would like to do was to give one of the boys a chance to do something and go to a school in New Zealand." “And after thinking about it for so long, we chose Tupae who was studying at Avele at that time." “We chose him because he came in at the bottom of the cut in Form Three (3) at Avele. And at the end of Form Four (4), he was right at the top." “Because he learned English and he was taught in English he was a very able young man, and he was very enthusiastic. So we took him with us to New Zealand and we fostered him and sent him to school." The young boy he was talking about was Tautapilimai Levaopolo Tupae Esera. He graduated from New Zealand, then returned to Samoa and became a teacher and later on became a principal at Avele College. 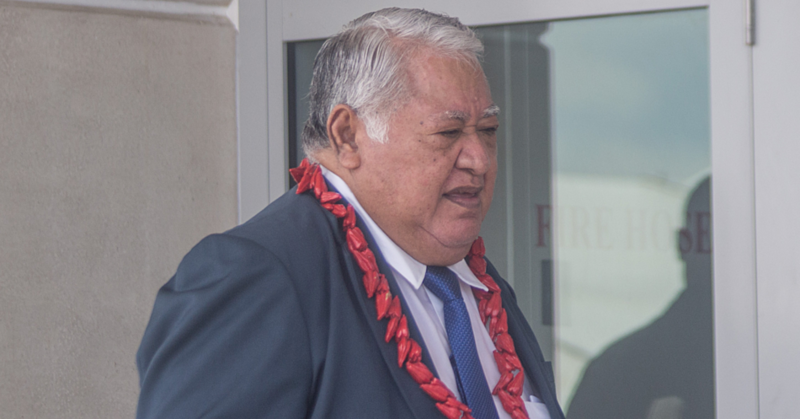 He then became the Chief Executive Officer of the Samoa’s Education Department currently known as the Ministry of Education, Sports and Culture. Tautapilimai passed away seven years ago and Graeme is in the country just in time to commemorate the seven years since his death. While in Samoa, Graeme says he enjoyed a lot of things. “I enjoyed coaching sports when I was at Avele. I also enjoyed taking some of the boarding boys to the beach back in the days." “I just love the life here in Samoa. I think I probably worked harder during my time here in Samoa than I did anywhere else because there were so many able students and boys and they were always eager to learn which was a great chance for me to give them my time and effort so they could learn as much as they could." Samoa holds a special place to Graeme’s heart because his eldest daughter was born in Samoa. Moreover, he is hoping that this will not be his last visit to Samoa. 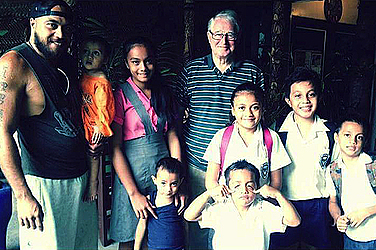 “I am 74 and I hope this won’t be my last visit to Samoa,” he said. “My wife died just over 18 months ago her sister wants to come here and to have a look at where we were and the places we’ve been. So my intention is to come back next year. But who knows? No one knows about what’s going to happen in the future." Finally, Graeme said he wanted to deliver o a message to not only the children but also the people of Samoa. “You hold your destiny in your own hands." “No one else can live your life but you. You have to look for opportunities, take them, seize them, and work hard. If you want something in life, you have to earn it yourself." “I have enjoyed my time in Samoa and I love the place. I have enjoyed the coincidences which happened to me during my stay here and I am grateful to have met someone like Tupae and to have given him an opportunity to fly and achieve things he wanted to do in life. Graeme Jamieson is in the country for two weeks. Right now, he is in Savaii and he will return to New Zealand this week.